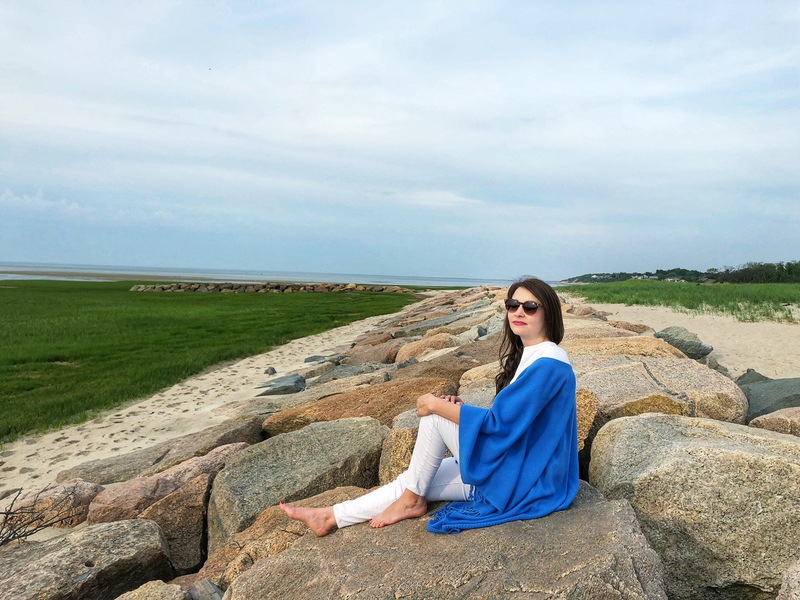 Living in New England, where temperatures may fluctuate frequently throughout the day, you should always be prepared with warmer layers of clothing — even in the height of the summer! 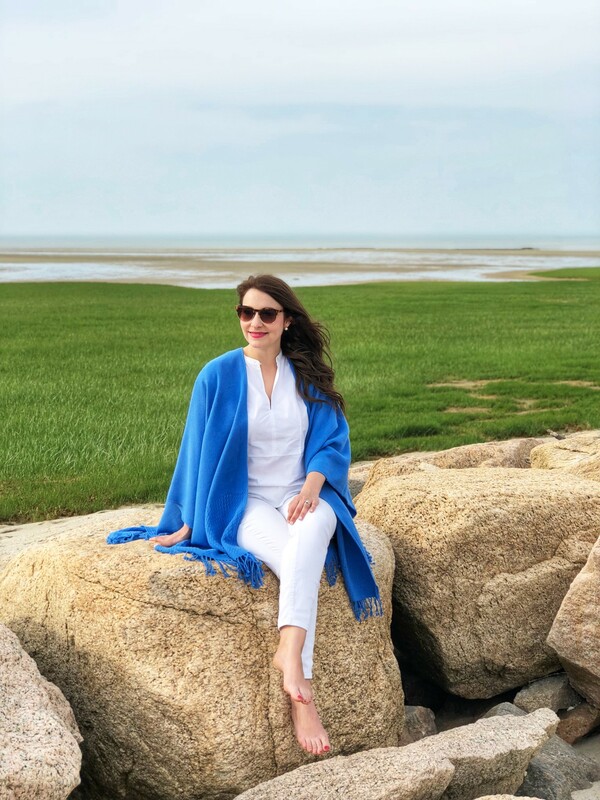 Since we often spend summer weekends on Cape Cod or Nantucket, I make sure to pack a summer shawl or sweater in my bag. On the Islands, the weather can be incredibly warm, but as the sun goes down, the temperatures along the coast will drop considerably, making another clothing layer necessary! 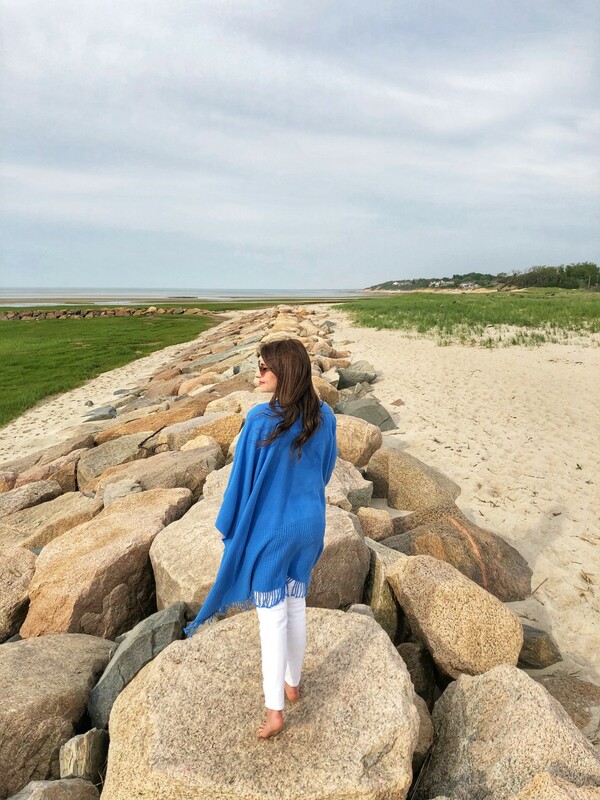 From Minnie Rose cashmere ponchos to lightweight Vince sweaters, over the years, I’ve accumulated quite the collection of go-to wardrobe pieces for chilly summer days and nights. 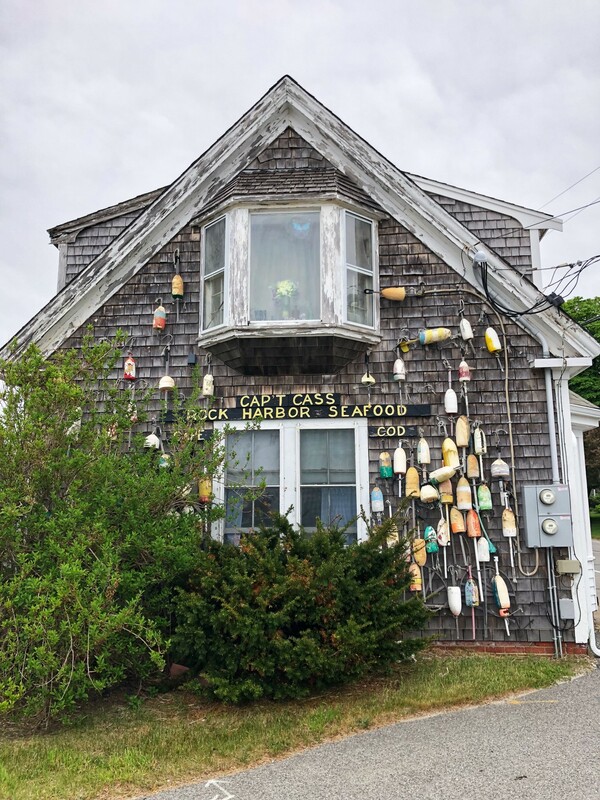 Recently, I discovered the company Mer-Sea & Co., which was founded by two friends inspired by their love of the ocean, despite living in Kansas. 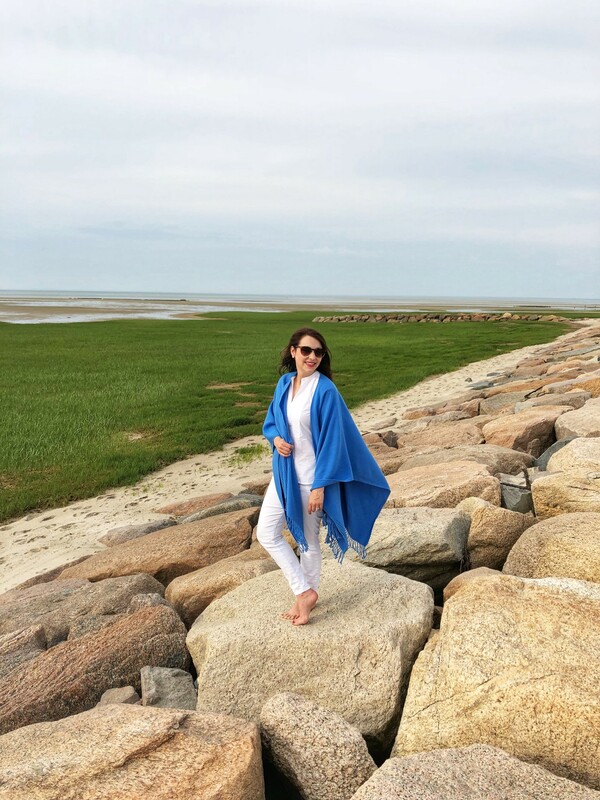 One of their best-selling items is a travel wrap, and after perusing their website and reading reviews, I decided to order one in this gorgeous French Blue hue. The wrap, which is 100% arcylic, is easy to care for and even easier to pack for a weekend trip, as it comes in a handy matching bag for storage. You can throw it in the washing machine and dryer and even iron it. 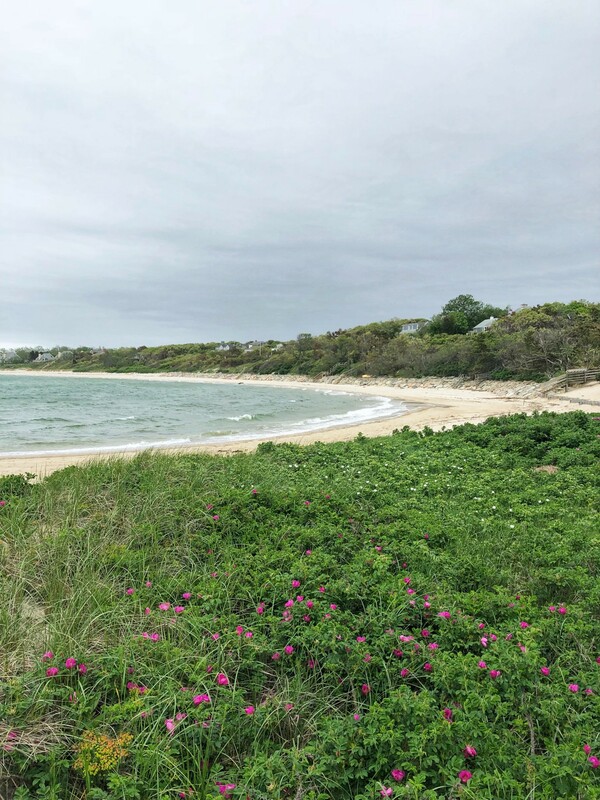 During Memorial Day weekend on the Cape, it was unseasonably cold for the month of May and I was relieved that I had packed the shawl because I ended up needing it on more than one occasion. 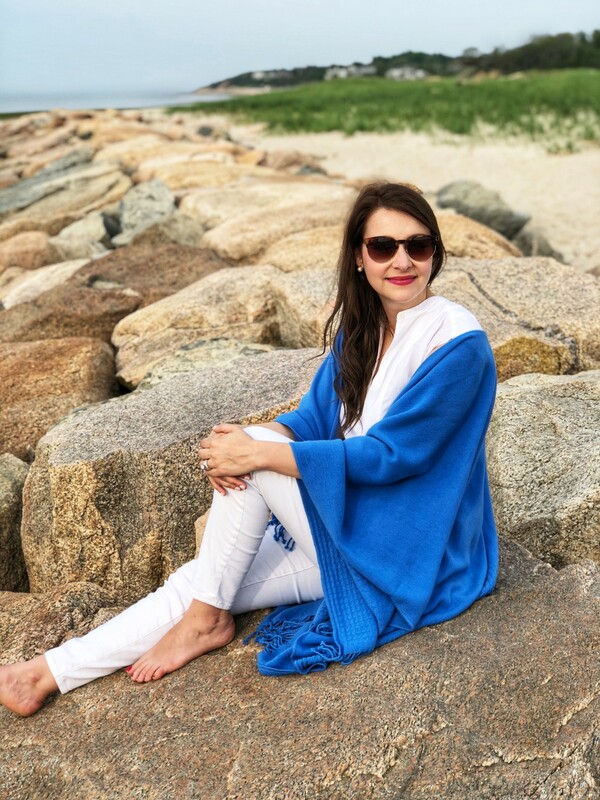 I love throwing this shawl on over an all white ensemble for a vibrant pop of color, but it also looks great with a pair of jeans and t-shirt for a chic, yet effortless look. 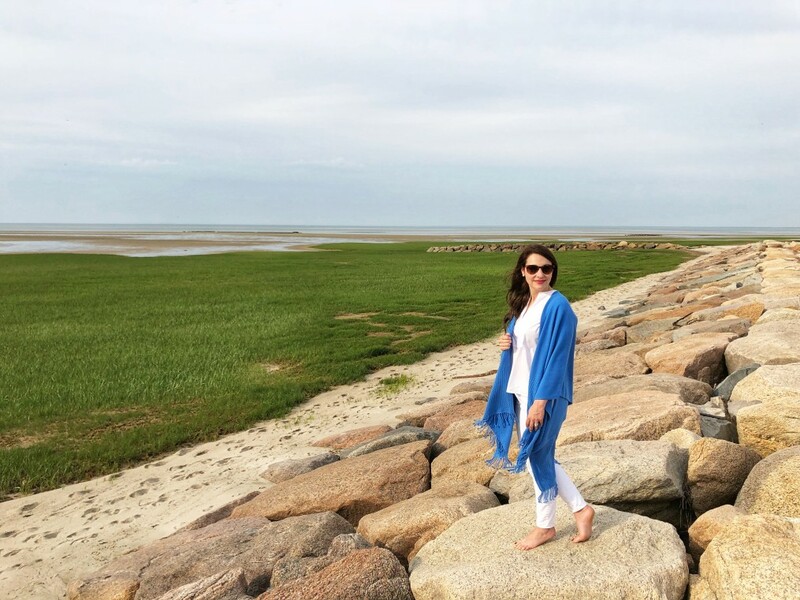 At $110, I felt this versatile shawl was a good investment for all of those fickle New England summer days! Do you have a favorite piece for summer? Please comment below and share!